He’s applied his creative nous for Rolls-Royce and Bugatti, and interior designed the State Limousine of British Queen Elizabeth II during a phase at Bentley, where he was responsible for the interior designs of the Continental and Mulsanne ranges. Now responsible for running Volvo’s design operations, Robin Page – pictured above, left, with colleagues Maximilian Missoni and Thomas Ingenlath – is guiding the future of a marque with some serious ambition when it comes to marrying luxury with tomorrow’s technical developments. What was the major catalyst that led you to this point? When I was 12 years old, our next-door neighbour was a lecturer at a transport design course at Coventry University and he was interested in art, cars and problem solving. He introduced me to the world of car design and advised me to do an Engineering Apprenticeship at Jaguars Cars Ltd and do extra evening studies in fine art, then bring these two skills together. Another was when I joined Rolls-Royce and Bentley and for the first few years worked directly with extremely wealthy customers and created bespoke individual designs which I illustrated in front of the customer and then had to bring the drawings back to the craftsman. I then worked directly with some pretty interesting characters in order to produce the designs into special bespoke cars. It was a mixture of creativity, sales, problem solving and diplomacy. How is interior design changing in the automotive world? This is a really interesting time in the car industry. We have new opportunities to innovate as we move into full electrical platforms with flat floors and full autonomous vehicles without steering wheels and pedals. This means the layout of a traditional car can be challenged. 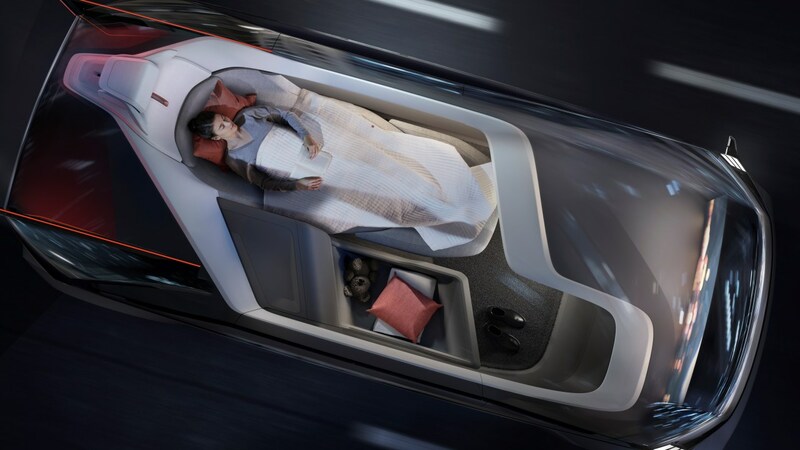 As soon as the steering wheel disappears it opens up a world of opportunities to create an array of different environments, from living rooms to an alternative to an office to even a personal sleeping car, as shown in the Volvo 360c concept. In terms of a luxury interior design, it now goes beyond the traditional idea of beautiful materials and aesthetics. It’s now about seamlessly connecting people’s technology and therefore their lives into the car and discreetly hiding the ever-increasing level of technology in an elegant and smart way. How do you feel luxury is changing in a broader sense? People now expect more – not only beautiful luxurious interior design, using the best materials, but also elegant solutions when it comes to using technology in a smart and easy-to-use way. They want solutions which can foresee what they need next, but of course we’re all human so if the designed solution does not deliver the experience it soon becomes frustrating. 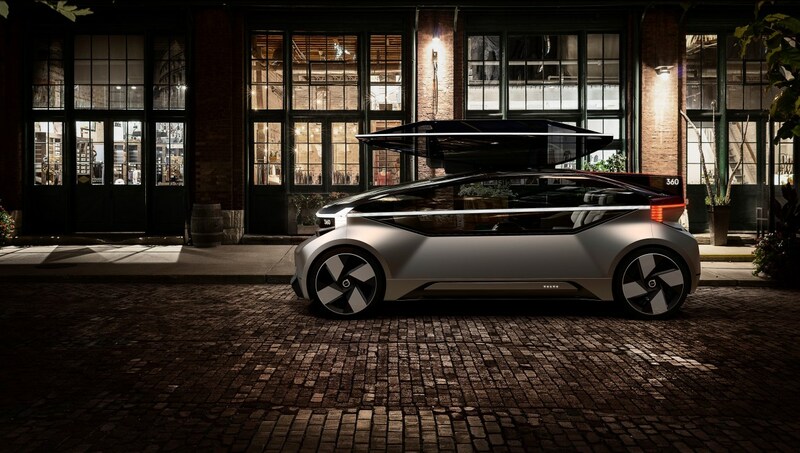 This is the new challenge of luxury design. I also feel luxury design is moving away from the traditional materials and trending towards a recycled and sustainable route where storytelling and an understanding of the environmental message is very important to customers. When approaching something like creating a state limousine for The Queen, how does the creative process even start? As in most cases when you are working on one-off designs for customers, the project often starts with a conversation with the sales team who have spoken with the client. Then as a design team we start creating sketches and rendered drawings in order to illustrate the ideas. Then, these are reviewed with the client and further updated until you reach a point when you have agreement to move to the next stage of detailing up the design. You spend two or three months creating the initial theme and then a year detailing the design and getting it ready for production. Are there a lot of conflicts between interior car designers and engineers – over practicalities and so on? Yes of course, but that is what makes the job so much fun. I try and keep to the attitude that engineering challenges often bring even better design solutions, but of course there are times when you just have to grit your teeth and carry on. Where – and in what circumstances – do you get your best creative ideas? Mostly during design reviews with my team. It’s great to work with a team of enthusiastic, creative people who are as passionate about design as you are. Other times I am just inspired by things around me, especially when travelling or reading about work from other industries such architecture, product design and fashion. Who inspires you in a professional sense? As an individual person I would have to say Thomas Ingenlath has been my biggest inspiration as a leader, and as a designer with such a great strategic vision. In terms of work outside the Automotive industry I would say the Snöhetta design team for architectural work and Georg Jenson team for clean and pure product design. What are your favourite luxury possessions? I am very lucky to own a 1967 E-type Jaguar, which is the car that emotionally inspired me to be a car designer. People often say time to think is a luxury, so my other luxury item is an old leather-bound notebook and ink fountain pen which I carry around on a daily basis in order to scribble down ideas which come to mind: a strange item in this digital world, but sometimes ideas are simply worth writing down by hand. The new stadium has a number of exclusive state-of-the-art areas.